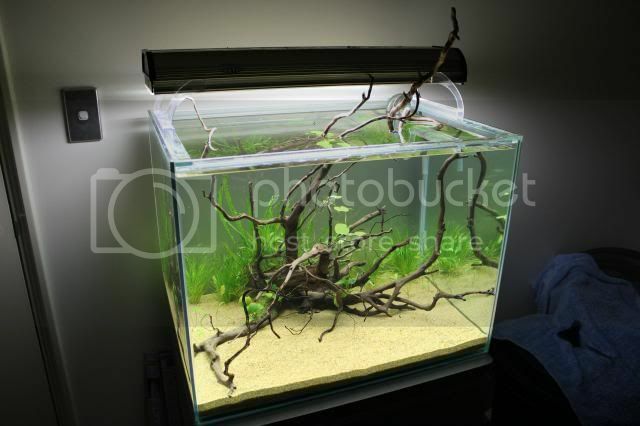 New 2ft setup- "Simple River"
Thread: New 2ft setup- "Simple River"
Decided to setup a new 2ft tank after not having a proper setup for a few years now and was having withdrawals. As time is very tight now days I opted for something "Simple" and low maintenance so I could just sit back and admire it and not have to worry about the up keep side of things. Just wanted a natural looking scene that would allow me to house a few of my all time favourite fish species. 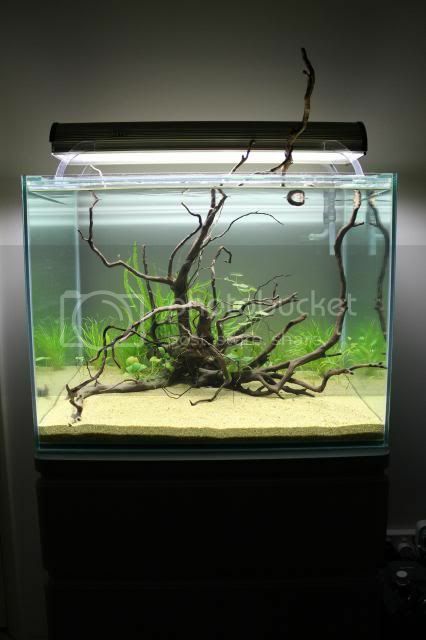 Plants: Anubius Nana, Anubius Congensis, Narrow leaf java fern, Crypts(unknown), Blyxa japonica. Have some Bolbitus which I was planning to put at the back where the java fern is, but is only tiny as its just survived a year of below average conditions so will have to wait until it puts on some size. Also have a stack of Native Kimberly Val which I may add to the back aswell. Not happy with the current layout of plants but as I get a few more I shall keep tweaking it and rearranging it. Livestock plans are a decent school of CPD's and a school of 8 Cory's. Undecided on the Cory variant at this stage but will most likely be of the smaller species. And I may add 6 or so of my all time favourite fish depending how the filter handles it- Bumblebee Goby's! Open to all comments and suggestions. This shows some expert working his finesse.. Well done. Can't wait to see it evolve. I love the driftwood. 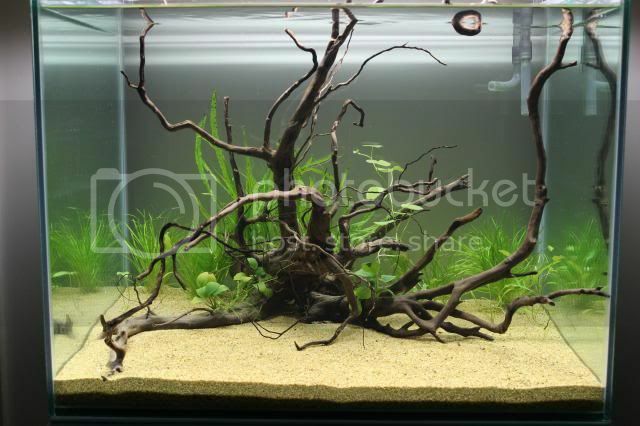 I like it when the scapers leave the driftwood bare, and don't cover it with moss and such. I think how you placed the driftwood is appealing and eye catching. I would use any more planting to highlight the driftwood. Look forward to seeing where it takes you. Super clean and tidy. Love it. Also this thread is very old. I wonder how the tank progressed? The tank grew out a bit and ended up changing the feature wood, only for it to be have to be torn down not long after with life getting in the way. Don’t have any shots of it grown in unfortunately.